Check out Marko and Olier’ brand new e-zapbooks at marko.artblog.fr and olier.artblog.fr! Tip of the day (week? month? 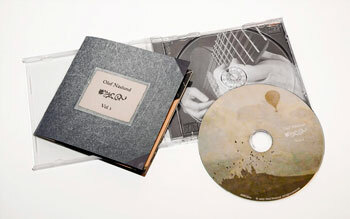 ): the first proper CD album from composer Olof Näslund, Vol. 1, will be released on March 2. Order your copy from olofnaslund.se! Also, don’t forget to check out the official MySpace and listen to some great music. Watch Marko & Asisko’s interview and see them in action in this report broadcasted on Spanish & Basque TV about a forthcoming 29-episode series. New illustrations by Marko+Asisko aBsurde for the Lenarriak (tribe) compilation, published by the government of Navarre. Nouveau projet au théâtre de Bayonne avec Marko : contes basques de Koldo Amestoy, sur une musique de Jesus Aured, dessins animés de Marko, tissu de Jeremy Spencer, lumière de Bruno Paris, et gourmandises de Serge Andrieu. Billets pour les 13 et 14 avril à Bayonne. 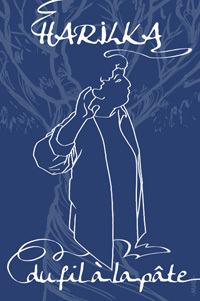 Le peuple du givre is Olier’s new comics project. Check out the first two plates! You are currently browsing Kebalog for the Pro category.